We offer clean comfortable rooms at an affordable rate. Start your day with our Continental Breakfast and then enjoy the quiet country atmosphere for business or pleasure. King's Inn is located near golf courses, great hunting areas, fishing, boating and exciting entertainment. Please call for availability if booking.com shows no rooms available for the day or days you are looking to reserve with us! 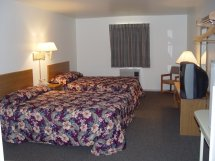 Visit King's Inn Motel where we feature different kinds of rooms for your every need. Centrally located in Platte, South Dakota, we are here to serve you. 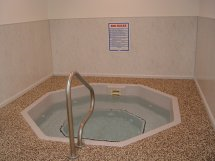 Come and relax in our indoor pool and hot tub!